The pool and jacuzzi were perfect. The bar was nice also and the games room was fantastic as well. Me and my Bridesmaids stayed in one of the apartments, beds were so comfy, lots of facilities, sparkling clean. 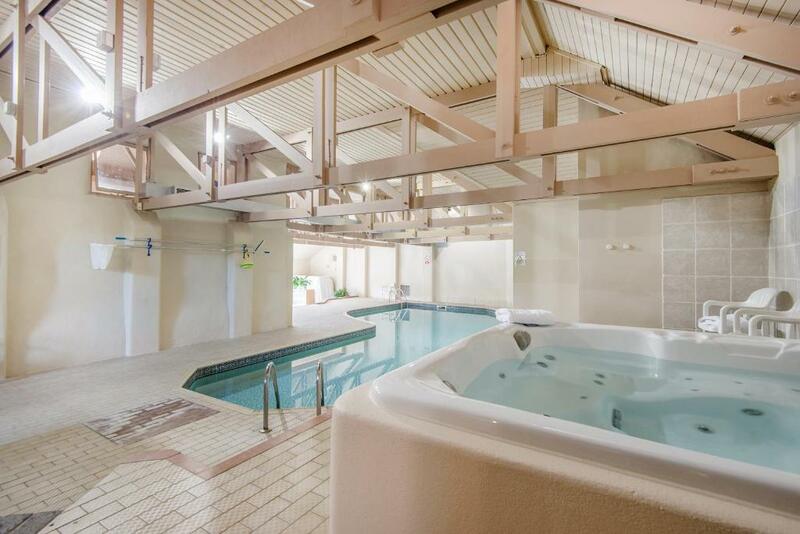 We got to enjoy the pool and the sauna and all of this at no extra cost. Everyone loved it and it was so nice getting ready there to be a Bride. The host was so so so friendly , everything was great. I will come back for sure. The whole experience at Broomhill Manor was fab - the cottage was spotlessly clean, tastefully furnished and we even had a cream tea expecting us when we arrived. Alan was a peerless host and the location is brilliant as well. The heated swimming pool was a star attraction for us rivalled only by the beautiful places to sit and enjoy the nature - trees, flowers, ponds, play areas. Absolutely fab. We've tried the sauna as well - highly recommended. Very helpful hosts, with good advice about the local area. A lovely tea and freshly baked scones with cream and jam on arrival made us feel more than welcome. The property is so beautiful and there are so many stunning views and walks closeby. Hosts on site to address any issues with the apartment which included no hot water and no tv aerial. Contacted them and issues dealt with immediately. It was a relaxed atmosphere and really down to earth. Lock in a great price for Broomhill Manor Holiday Cottages - rated 9.7 by recent guests. Just 2 miles from Bude on the north Cornwall coast, the Broomhill Manor Holiday Cottages provide 4-star rated self-catering accommodation. 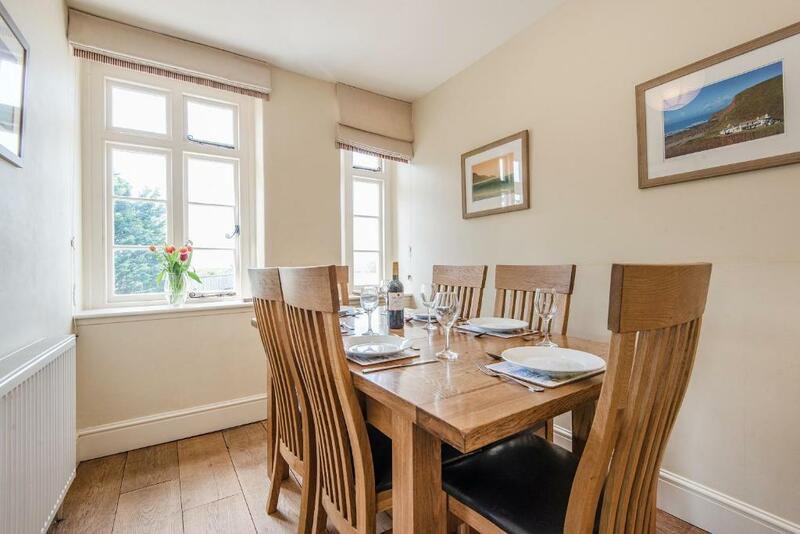 With 2 or 3 bedrooms, these cottages benefit from free parking and WiFi and an extensive range of on-site facilities. Each cottage has a fully equipped kitchen with a dishwasher, microwave, oven and fridge, as well as indoor and outdoor dining areas. The lounge includes a flat-screen TV, DVD and Blu-ray player, and the bathroom has a bath and/or shower. All cottages have a barbecue, and the superior cottages also have an outdoor hot tub. 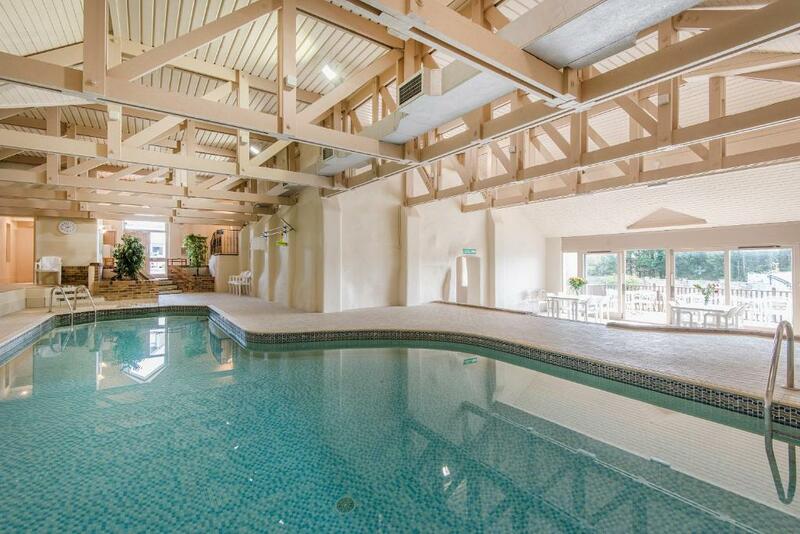 On-site facilities include an indoor pool, sauna, spa, fitness centre and games room. There is also a bar, and catering can be arranged on request. Bude offers a range of cafés, bistros and tea rooms, and popular surfing beaches including Summerleaze and Widemouth Bay are nearby. Down the coast, you will find Tintagel Castle around 20 miles away, and you can reach the acclaimed restaurants of Padstow in less than 1 hour. 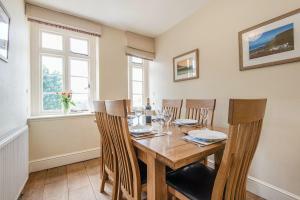 This property also has one of the best-rated locations in Bude! Guests are happier about it compared to other properties in the area. 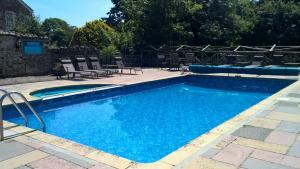 Broomhill Manor Holiday Cottages has been welcoming Booking.com guests since 17 Apr 2014. When would you like to stay at Broomhill Manor Holiday Cottages? This holiday home has a fully equipped kitchen, lounge and patio. It sleeps 4 adults. This holiday home has a fully equipped kitchen, lounge and patio. It sleeps 6 adults. This holiday home has a fully equipped kitchen, lounge and patio. It sleeps 4 adults and 2 children. This holiday home features a microwave, dining area and barbecue. Broomhill Manor is family owned and run - we live on site and welcome all guests personally with a cream tea and a tour around Broomhill Manor's extensive facilities. We are available at most times should you need help or advice on things to do or places to visit and we have full-time maintenance man to make sure your cottage and the facilities are maintained in good condition throughout your stay. Guests love the tranquil location and the freedom their children have to enjoy the fresh air and wide open spaces in a safe, car-free environment. 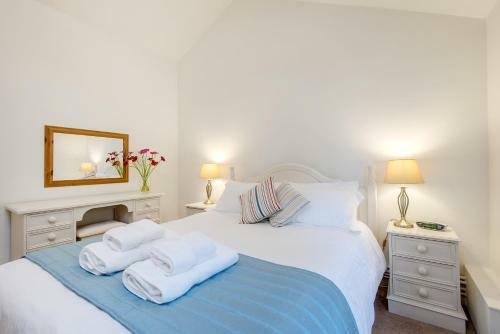 Cottages are all-inclusive which means many "extras" you might expect to pay for on a self-catering holiday, including WIFI, heating/ logs, BBQ gas, laundry, games room tables, and sundries such as dishwasher tabs, toilet rolls, washup liquid etc are included in the price. There are so many things to do for all the family at Broomhill Manor - most of the facilities are free of charge, too - heated swimming pools (outdoor pool is seasonal), gym, Jacuzzi, under 6's playroom, games room, sandpit, outdoor play areas. 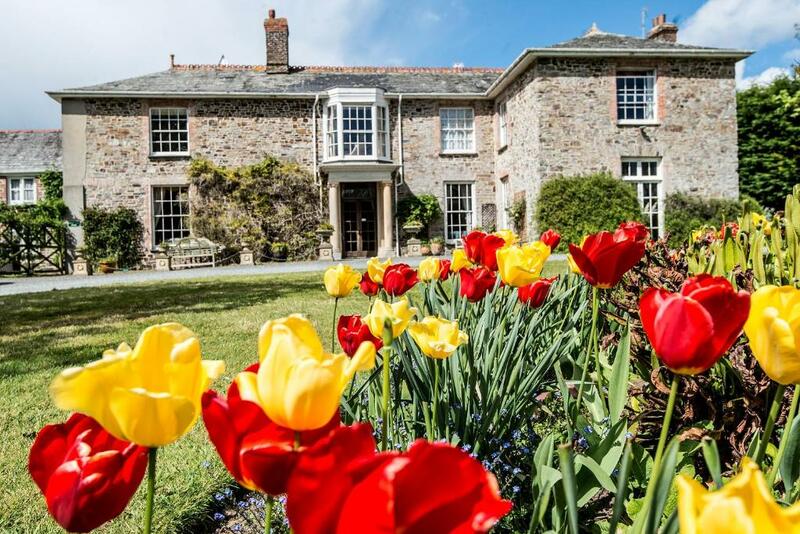 Our aim is to provide a memorable family holiday for our guests - we look forward to welcoming you to Broomhill Manor! Broomhill Manor is owned and managed by Alan and Linda with the help of their teenage twins and a great team of long term employees. We moved to Cornwall 10 years ago when the twins were 4 and Broomhill Manor was in great need of a huge dollop of TLC to get the cottages and facilities up to scratch. Ten years later, we are very proud of what we can now offer our guests, even though it is a never ending job to keep on top of everything! Living on site, we spend most of our time here - but as many guests say, we are very lucky to be in such a wonderful environment and within walking distance of Bude and its lovely beaches! The twins are very sporty, both training at County level for their respective sports of cricket and netball and we get the job of team taxi!! Our favourite things to do are eating out, playing bridge (Alan only!! ), walking on Dartmoor, spending time with friends and listening to live music. Cornwall is particularly blessed with great food, a good live music scene and stunning scenery, so all in all, a pretty good life! Bude was voted UK's Best Beach Resort 2015, as voted for by the British Travel Awards. There are 8 different beaches to choose from with a raft of water sports available. Bude is on the South West Coastal path with stunning scenery and has a great selection of local pubs, restaurants and independent shops for visitors to enjoy! House rules Broomhill Manor Holiday Cottages takes special requests - add in the next step! Broomhill Manor Holiday Cottages accepts these cards and reserves the right to temporarily hold an amount prior to arrival. Please inform Broomhill Manor Holiday Cottages in advance of your expected arrival time. You can use the Special Requests box when booking, or contact the property directly with the contact details provided in your confirmation. Everything was brilliant - absolutely nothing to dislike. Very comfortable cottage, cream tea and milk in cottage on arrival, shown around grounds and facilities by host on arrival and given a little booklet showing what’s in the local area and things to do. Cottage is beautifully decorated and clean. 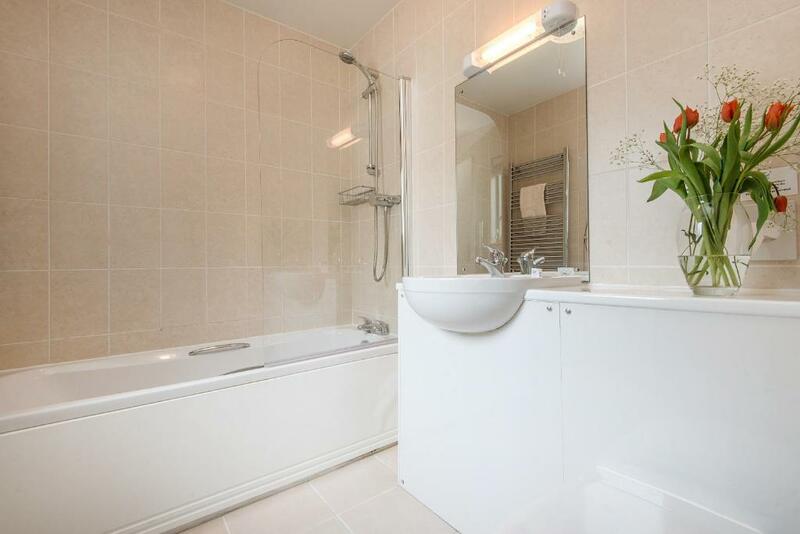 Cottage includes double room, spare room has bunk beds and single bed, bathroom is small but adequate with shower. Kitchen had cutlery, crackers, cups, glasses, pots, pans, cleaning items, fridge, freezer, dish washer and tv. Onsite facilities include indoor jacquizzi and pool, outdoor pool and tennis court, games room for adults, separate games room for kids, bar with large pool table and free duke box, grounds to walk around, riding Stables for all abilities, reception with lots of leaflets for things to do and recycling bins. Local places to visit are Widemouth Bay and cafe (highly recommend Widdy Hot Chocolate), Port Isaac for Doc Martin fans, Lanhydrock Manor, Darlington Crystal, Rosemoor Gardens. There are plenty of large shops like Asda, Sainsbury’s, Lidl.